Do you remember advanced Atlantis - an island continent, ruled by magicians, and destroyed by nature some 25,000 years ago? Could you be one of the Atlanteans? 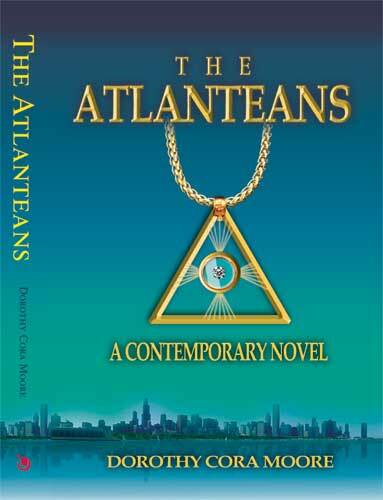 The story of The Atlanteans begins in America, spirals back to Atlantis at its demise, and then returns to America where events and characters from these two civilizations come together. Teddy Townsend and Ryan Stuart are best friends in their mid-thirties. Their lifelong friendship began at Harvard, but has its roots in their ancient past, which they are soon to learn more about. Teddy Townsend is a tall, blonde, athletic-looking man, from a very wealthy Bostonian family. He is married, with three children, and makes his career in law. Ryan Stuart is a slender, quick, agile man, with keen blue eyes and dark mahogany hair. Ryan comes from a large, poor Irish-Catholic family on the south side of Chicago, has remained single all his life, and is a prominent neurosurgeon. As the story opens, Teddy and Ryan enter Teddy’s 52-foot racing yacht in the Miami-Nassau Regatta. A storm overtakes them, and one of the ancient Atlantean magicians, Polaris, appears. Polaris takes them back in time to show them who they were, and the truth of what happened the last few weeks of Atlantis’ existence. When their weatherworn yacht returns to Miami, they wonder why they experienced all this. During their flight home they see pictured on the front page of the Miami newspaper the Atlantean magician, Merak, responsible for the demise of Atlantis. He is walking up the steps of the White House with the President. After returning home to Chicago, Teddy tries to find out who Merak now is, and what this menacing black magician is up to. Can Teddy Townsend and Ryan Stuart stop Merak before another enchanted land, America, suffers the same fate as Atlantis, and is lost forevermore? The Atlanteans Home Page : Brief Synopsis : The Prophesy : Book Reviews : Attention Art Students!